Karel Friday Oct 23 85 or 99, either way, we're screwed! 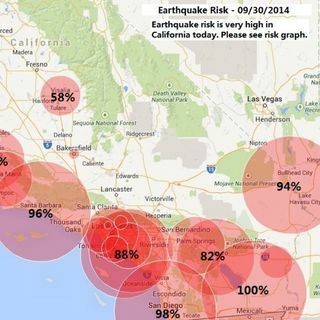 What do we care if the danger is 85% or 99.9% when it comes to earthquakes in Southern CA? Jury's In, a big one is coming. Why don't more people care? Plus The #MathofAmerica, The seasons of new beginnings and does tweeting tell people how much you make? Be sure to visit the website and support the show at Patreon.